The Portland area is blessed with myriad small, bordering-on-obscure nurseries selling unusual and “niche” plants. One such gem is Mostly Medicinals, a seven year-old, home-grown business run by Laura Altvater. Mostly Medicinals grows historically medicinal plants from both Western and traditional Chinese medicine, and many of the plants offered are hard to find in the nursery trade. They also supply a range of threatened plants and some native medicinals, including pearly everlasting, stinging nettle and gumweed. 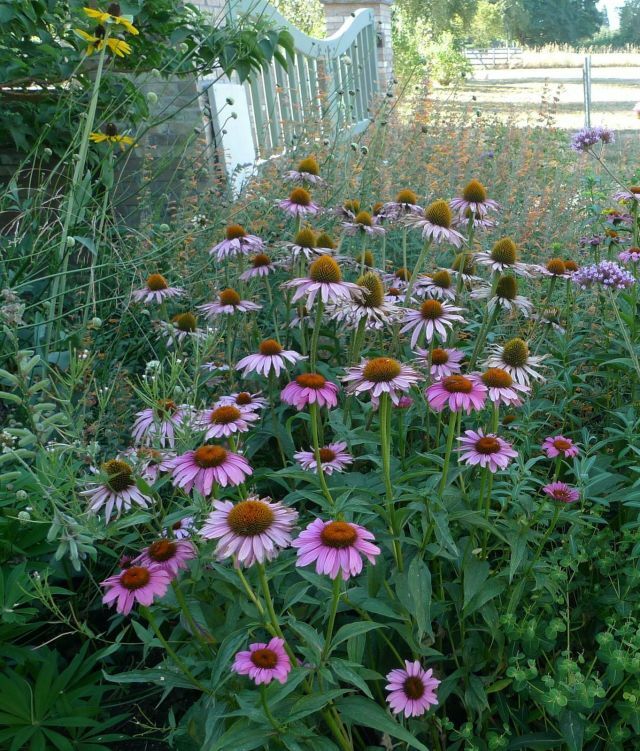 Other interesting plants that are or have been on Mostly Medicinals' plant list include coneflower (Echinacea), eastern and western wild ginger, black cohosh, various kinds of licorice, goldenseal, basil, sages, beebalm, and breadseed poppy. The nursery uses sustainable practices, organic fertilizers and sprays when necessary, mostly organic soils, and passive solar heat. Seeds are primarily organic and locally-sourced. Check out the Mostly Medicinals plant list on the website. A more up-to-date plant list can be found on MM's Facebook page: friend them to see it. Altvater has been selling plants at local farmers markets in recent years, as well as wholesale to a small fleet of nurseries including the Portland Nursery, Naomi’s Organic Farm Supply, Pistil’s, City Farm, and Concentrates. Her wholesale business has picked up, though, and she won't be bringing plants to the markets or opening the nursery anymore. This is perhaps your last chance to shop directly from Mostly Medicinals, although the plants can still be found at local retailers.